Have you been bitten by the SUV bug? They’re fast becoming the most popular cars on the road and it’s not difficult to see why. 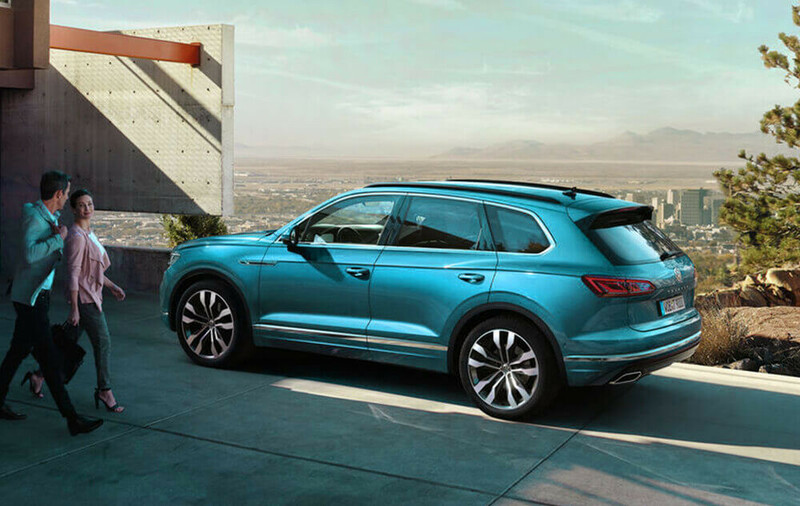 Volkswagen has been hard at work expanding its range of SUVs to include everything you need to impress your friends as well as all the room you could want for a growing family or expanding business. Complete with all the quality, reliability, style and tech that you expect from VW, the range just keeps on getting bigger and better. 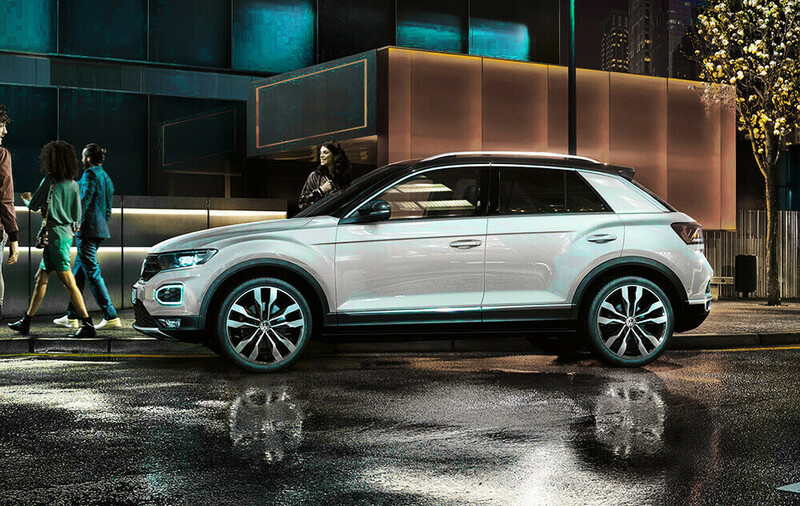 If you haven’t done so already, now is the time to jump on board with the VW SUV craze. 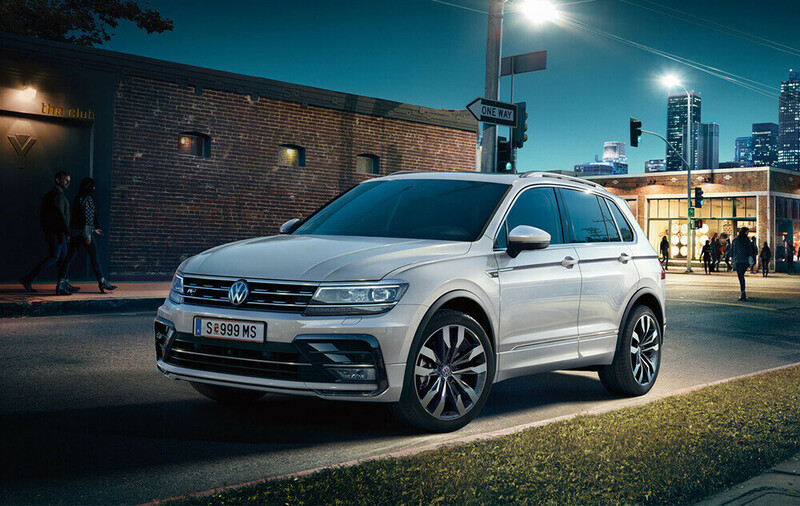 Choose from the T-Roc, Tiguan, Tiguan Allspace, Touareg and new T-Cross to make everyday driving a pleasure. With outstanding Euro NCAP ratings, this small Volkswagen SUV oozes confidence. Bold design with side skirts, angled rear and large front air vent provide an athletic look, equally suited to your executive needs or a growing family. Cutting-edge technology, including sat nav, sound system and mobile phone connectivity allow you to enjoy every journey in the VW T-Roc to the full, while driver assistance features, such as parking sensors, emergency braking systems and rear traffic alert help you to arrive at your destination safely. 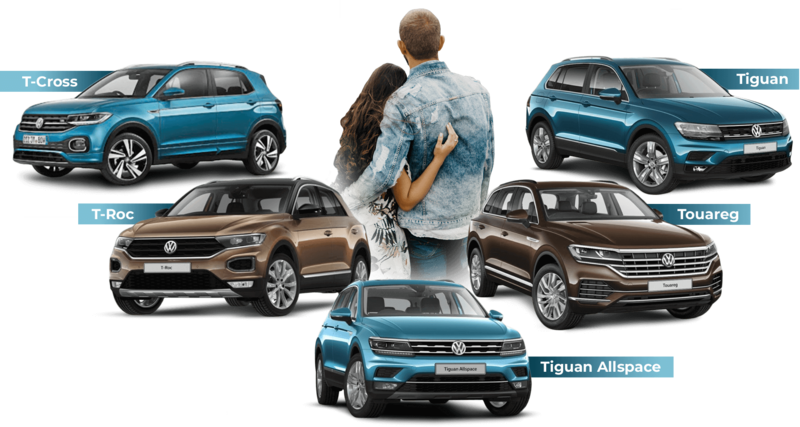 The five different trim options include S, SE, Design, SEL and R-Line, and despite its compact dimensions the Volkswagen T-Roc provides the greatest range of engine choices in the VW SUV family. If you’re looking for choice and practicality, this the car for you! 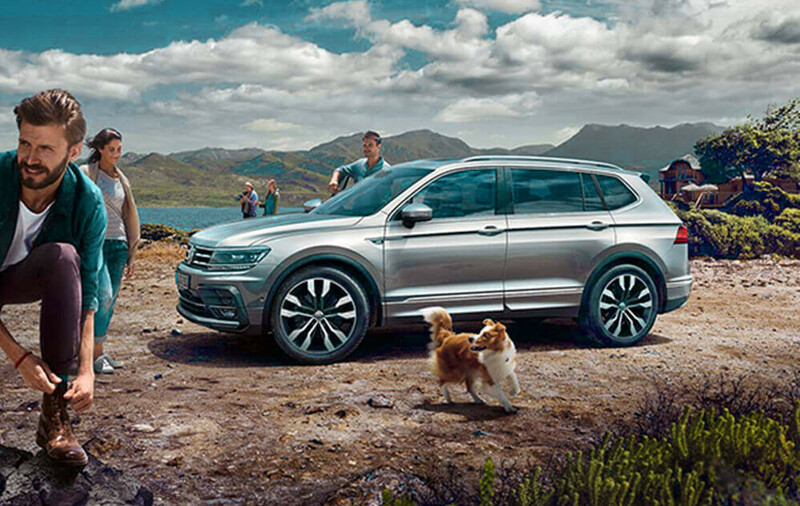 Equally perfect for everyday adventures or for that once in a lifetime trip, the Volkswagen Tiguan offers superior handling and striking looks, complemented with all of the latest safety features. And it’s not just for show! Large, wide windows and an optional panoramic roof flood the cabin with light, allowing excellent visibility, while low-power LED lights illuminate the road ahead and let others know you’re on your way. 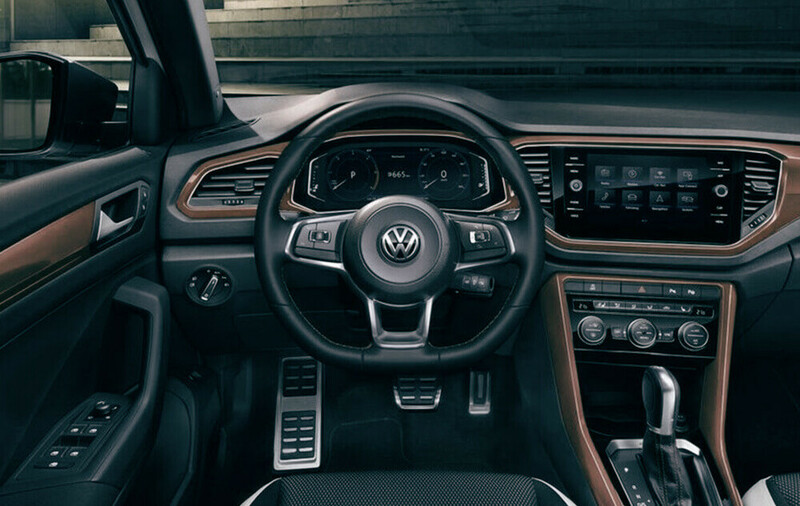 The stylish looks are continued inside, where the VW Tiguan’s driver-centric cockpit and ambient lighting will make you feel right at home. With the optional 4MOTION all-wheel- drive system, ‘home’ can be wherever you want it to be. Choose from S, SE, SE Nav, SEL or R-Line to make sure that all your favourite features and driver assistance tools are included. If your adventuring requires a little extra space, the seven-seater Volkswagen Tiguan Allspace has your name written all over it. 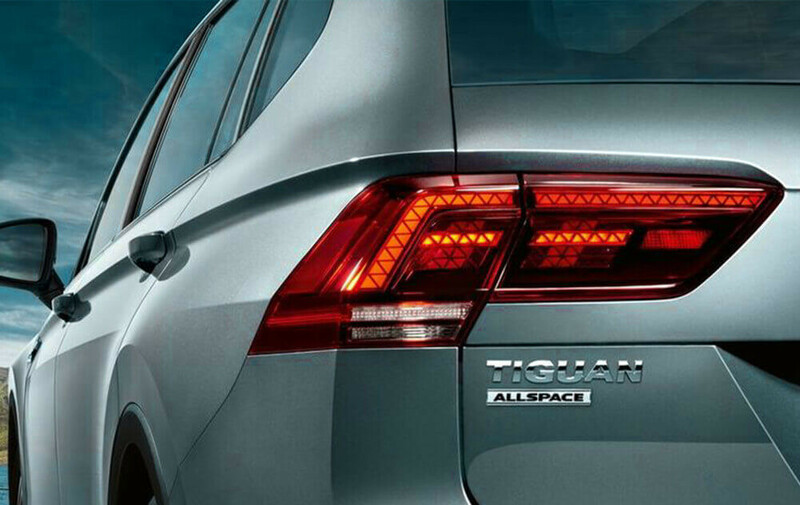 With all of the superior handling of the standard VW Tiguan and the same superb looks, the Allspace will satisfy and impress in equal measure, with the additional benefit of flexible seating. Area View, Park Assist and Traffic Jam Assist are further options that’ll make every trip a breeze as you whizz into parking spaces and around other road users, safely and in control. Technology and connectivity simply add to the convenience, with innovative features to make your experience behind the wheel even better. Easy-to-use radio and optional sat nav entertain and inform while the Head-up Display extends the dashboard to your windscreen for clear and undistracted viewing. 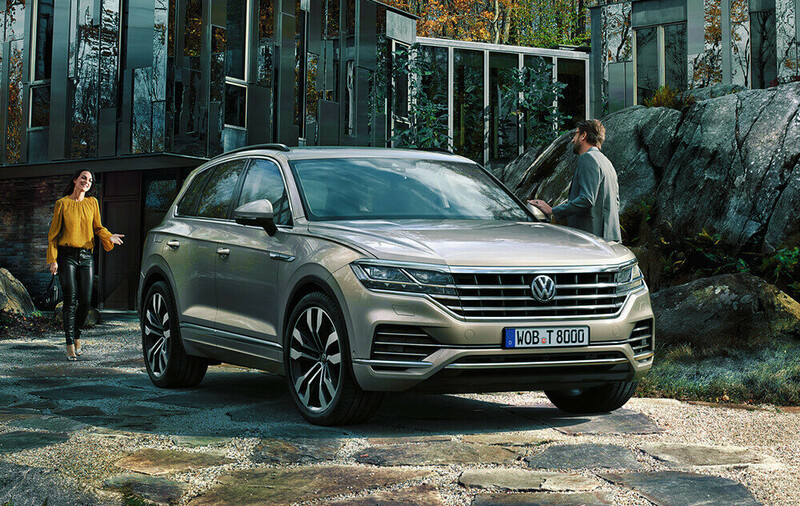 With 4MOTION 4x4 as standard and a powerful 3.0-litre diesel engine, the outstanding VW Touareg makes light work of any terrain. Cruise Control and two-zone Climate Control increase your comfort as you and your passengers enjoy the leather interior. From head to tail, the styling is exquisite, all the way from the body-coloured door mirrors with integrated indicators to the remote unlocking tailgate and trapezoid exhaust. Night vision, LED matrix technology and a multifunction camera work together to keep you safe on the road while adjustable air suspension allows you to ride in comfort. If that’s not enough, roll stabilisation reduces lateral tilt and understeer for improved handling. Pick from the SEL, R-Line and R-Line Tech trims for a drive that’s quite simply showstopping! 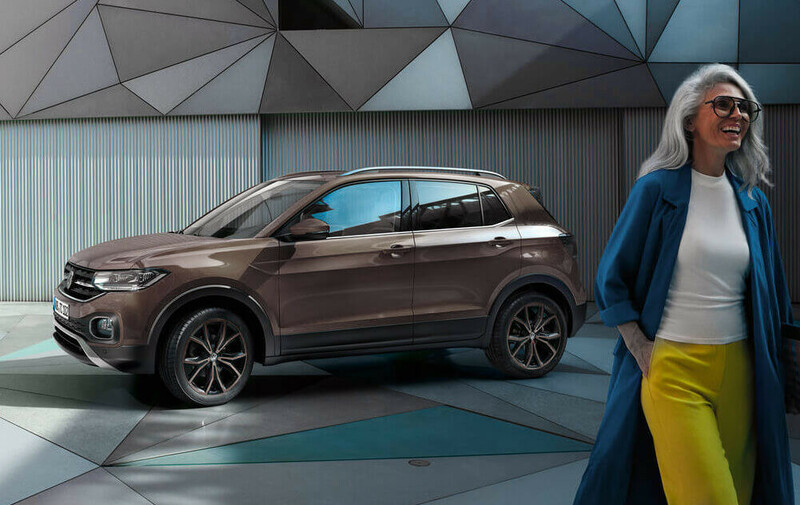 Due to be released in spring 2019, the NEW VW T-Cross will take over from the T-Roc as the smallest VW SUV. Anyone familiar with the VW Polo will recognise the cabin tech, all enjoyed from a higher seating position from its hatchback cousin. 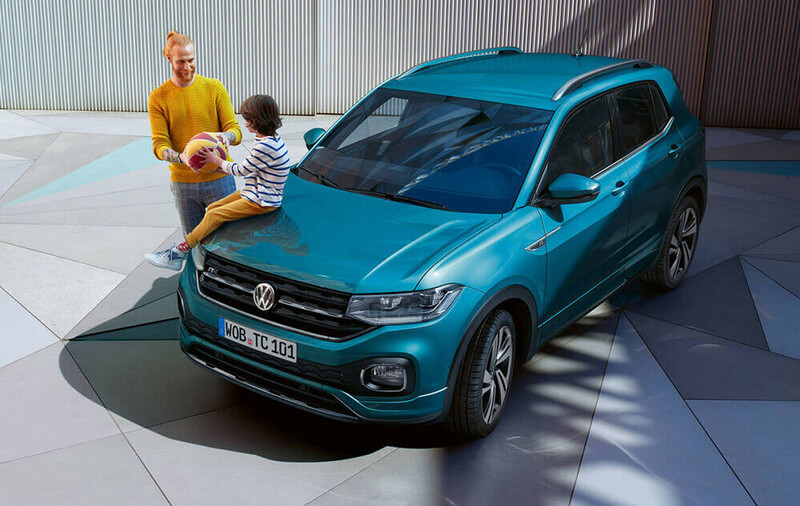 All the practicality of a city car with the flexibility that comes with an SUV and a range of design packs, the Volkswagen T-Cross promises a ride that’s as individual as you are. 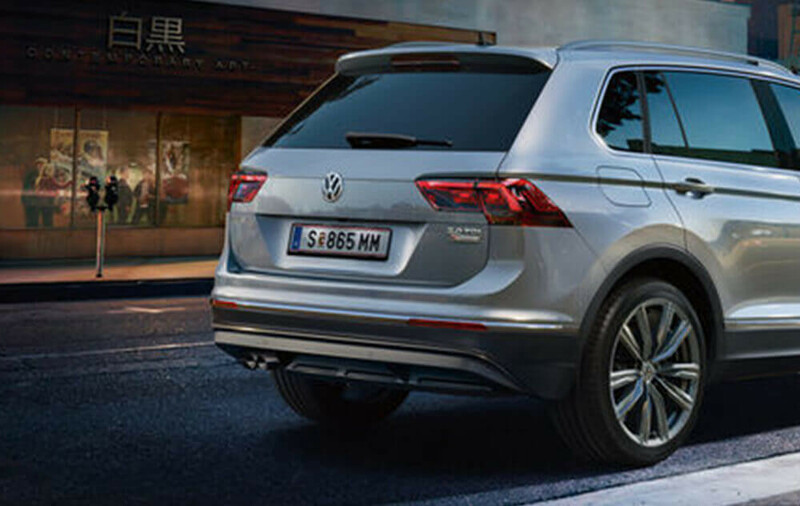 With so many reasons to consider a Volkswagen SUV, the time is right for you to take a closer look at your local Swansway Group VW dealership. Compact to large, five or seven seats, and a whole host of driver assistance and safety features thrown in.